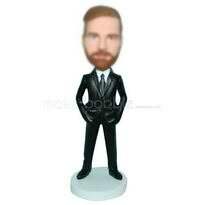 Beard man in black suit custom bobbleheads - a love more than a gift! Dressing formally for the right occasion shows both commitment and respect for your place within any chosen activity. A great man is not created only by his elegant formal dress, but such a man will always be noticed, and cultivating the right contacts is a sure way to the top. 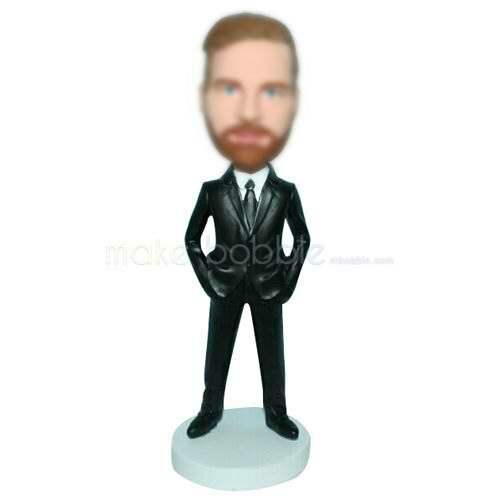 Be inspired to great things with a formal occasion Bobblehead.